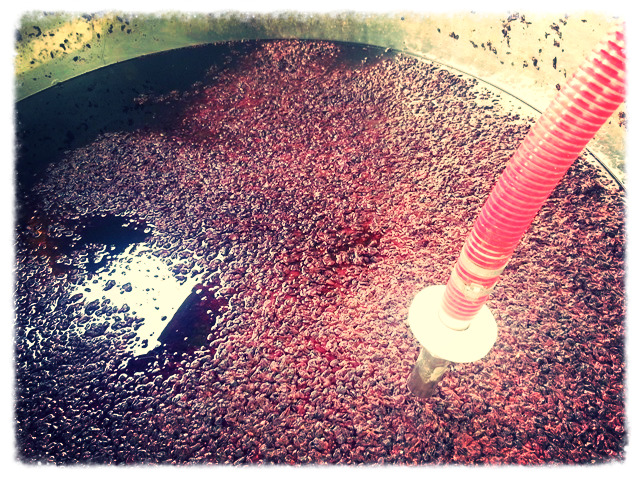 Yesterday we pressed off the last of the Pinot Noir for Four Hawk Day. This kind of brings to an end the harvest for the year from a winemakers perspective as all the equipment used for the crushing, destemming and pressing can be cleaning and stowed away until next year. Adrian and Jo, owners of Four Hawk Day, came along to lend a hand and we eventually got just over 3 barrels of Pinot that will now age for around 12 months. Posted on April 28, 2013 by David Tyney.